One of the biggest challenges of bringing your baby on a day out is having them stay put in their stroller. But what I’ve found after numerous attempts of getting my little one to calm down in his seat after just a few minutes of being buckled in is that the crankiness and fussiness isn’t a result of boredom – but of discomfort! Strollers can get increasingly warm for babies, especially during hotter seasons. 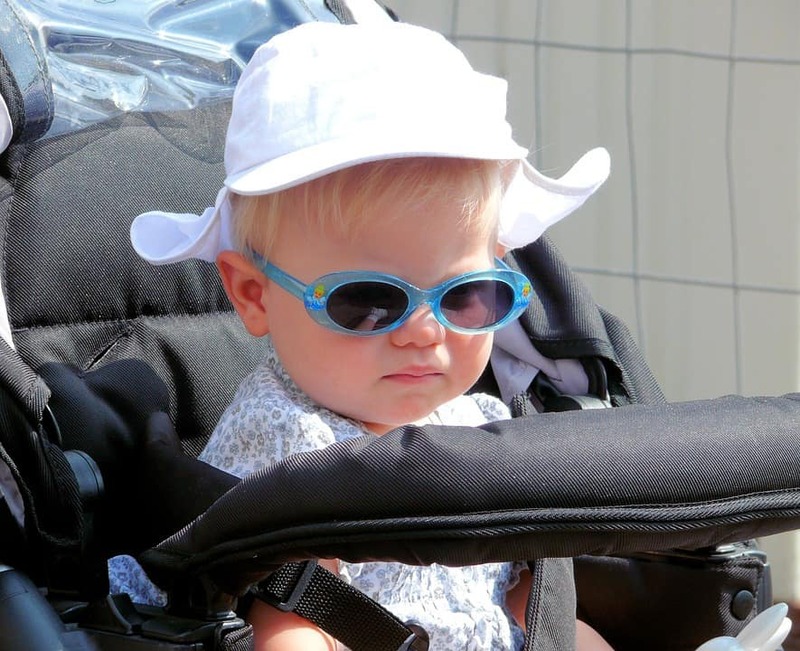 Warm stroller seats can be very uncomfortable for little babies – especially in the summer. So it’s up to us parents to make sure they are comfy. Wondering how to keep baby cool in stroller? Just follow these smart tips. 8. Give Your Baby a Break! 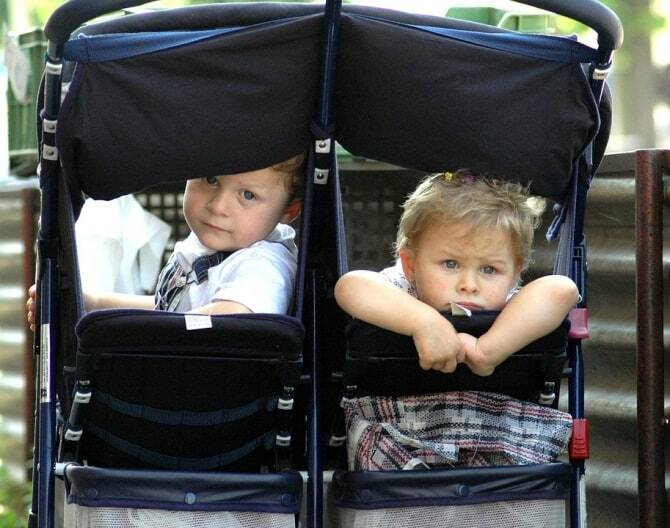 Majority of stroller designs come with a removable or built-in canopy. But for the sake of a compact design, most manufacturers opt to equip strollers with canopies that might not be large enough to give your baby sufficient shade. Babies will be much more comfortable with extended shade. Before you think about scouring the market for other strollers that have bigger canopies, you can try looking for a canopy extender instead. 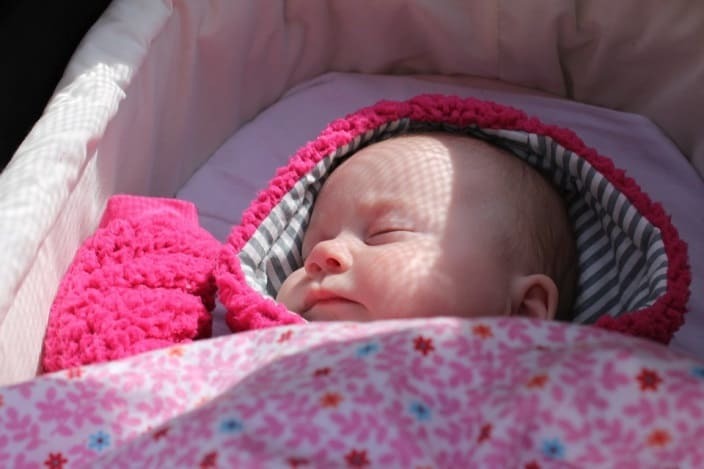 These stroller accessories were designed to give your baby more shade without that hot, heavy, and humid environment caused full-coverage stroller shades. A cold beverage can easily cool down an uncomfortably warm baby. So make sure to have a chilled bottle of their favorite juice or water at the ready for those moments when your baby might want a sip. However, because the hot summer sun can easily warm up a cold drink, you may want to consider using an insulated bottle for kids. Specially designed to retain the temperature of their contents, these bottles can even keep your baby’s drink cool for up to 24 hours. For babies who have yet to start using sippy cups and drinking bottles, you can buy reusable ice packs and keep them in an insulated baby bag to keep breast milk fresh and cold. According to studies, dark colors absorb more light, and will thus generate more heat. 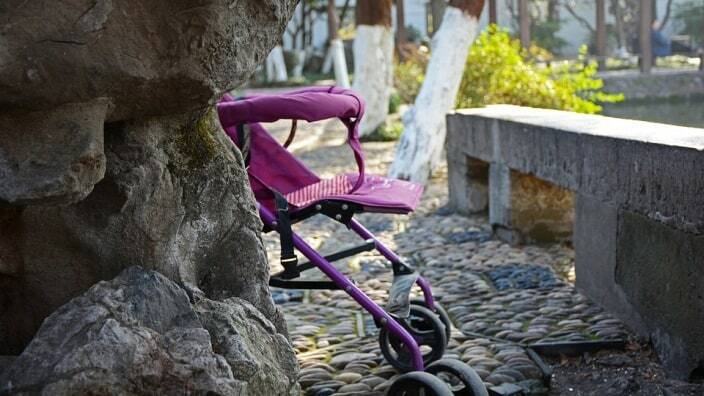 So if you’ve been pushing your baby around in a dark colored stroller, you may want to consider buying light colored seat covers or a whole new stroller all together. Dress your baby appropriately for the weather. That said, it also wouldn’t hurt to clothe your baby in light colored fabrics. Choosing clothes that use breathable fabric also helps improve ventilation for a cooler ride. A lot of parents buy strollers with ventilation without even knowing it. Commonly, this feature allows parents to pull down the fabric covering the back of the seat to expose a mesh layer that allows better air flow. Exposed backs give your baby more air flow. Make sure you double check your stroller’s user manual, or explore its design to find any panels you can pull back to create a more breathable seat for your baby. Cooling mist sprays are special water-based formulations that are intended to cool down your skin during a hot day. Lots of organic, natural infusions are great for babies, and make suitable solutions for when their stroller gets a little too warm for comfort. When you notice your baby starting to sweat or if his cheeks start to flush, give one good spritz of your chosen cooling mist spray to refresh his skin and keep him feeling cool a little while longer. Hot stroller seats are a problem for most moms, so lots of manufacturers have come out with clip-on fans that you can attach to your stroller to give your baby a cooling breeze as you walk around on hot days. There are a few things you might want to consider though before you jump into a purchase. For starters, a stroller fan might pose a threat to your baby’s safety, especially when curiosity urges their tiny finger to touch the fan’s blades. Even small, plastic, battery-operated fans can cause some pain and even injury in small babies. Some choices will let you clip the fan onto parts of your stroller that are far from your baby’s little hands. Then there are those with specially designed fool-proof covers to give your baby a dose of fresh air without posing the risk of finger injury. You probably already have some in your bag, but packing a few extra baby wipes could come in handy on extra hot days. Wiping down your baby’s arms, legs, and face with hypoallergenic baby wipes can moisten their skin and dissipate heat. Take a break to wipe your baby down with moist wipes whenever you get the chance. This little trick works even better to cool down a warm stroller seat if once the breeze starts blowing on your baby’s skin. If you’re not keen on wiping your baby with wipes, you can use a clean wash cloth that’s been dampened with a little cold water. Experts strongly suggest that babies be taken out of their stroller at least once every two hours. Allowing breaks of up to 30 minutes between sitting can give your baby some time to stretch, and may even reduce the risk for certain acquired conditions. Taking your baby out of his stroller may also help cool him down, allowing parts of his body some time to breathe like the back and bum. You might also want to take this opportunity to change his clothes, especially if they’ve been drenched in sweat. On average, one child suffers from heatstroke every ten days - don’t let it be your baby. A stroller can be a convenient way to bring your baby out, but it does pose a unique set of dangers – especially on hot days. As a parent, it’s your responsibility to make sure your little one stays safe in the face of these potential risks. 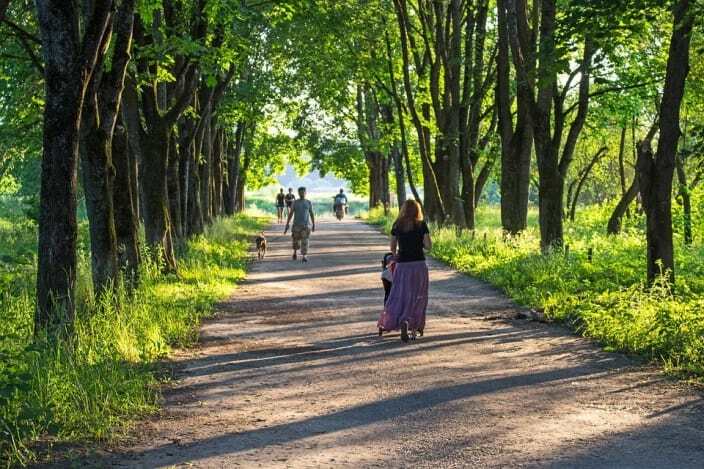 Remember these tips the next time you strap your baby in his seat for a summertime stroll to keep both you and your little one happy, healthy, and cool even in the summer heat.